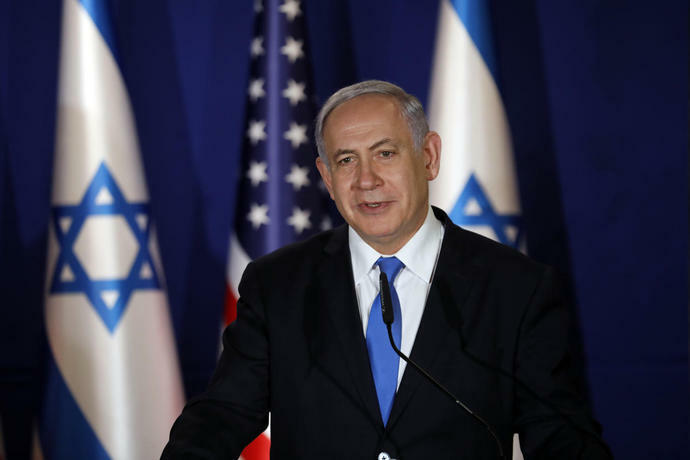 Israeli Prime Minister Benjamin Netanyahu, speaks during a joint press conference with U.
WASHINGTON (AP) - Israeli Prime Minister Benjamin Netanyahu said Monday that he was cutting short his visit to Washington after a Gaza rocket attack on Israel. He called it a "criminal attack," and Vice President Mike Pence said the strike was evidence that Hamas militants cannot be a partner to achieve a Mideast peace. The Israeli military said it was conducted by militants from Gaza's ruling Hamas and injured several people. Netanyahu pledged to retaliate and said he would return home to handle the crisis shortly after meeting with President Donald Trump at the White House. 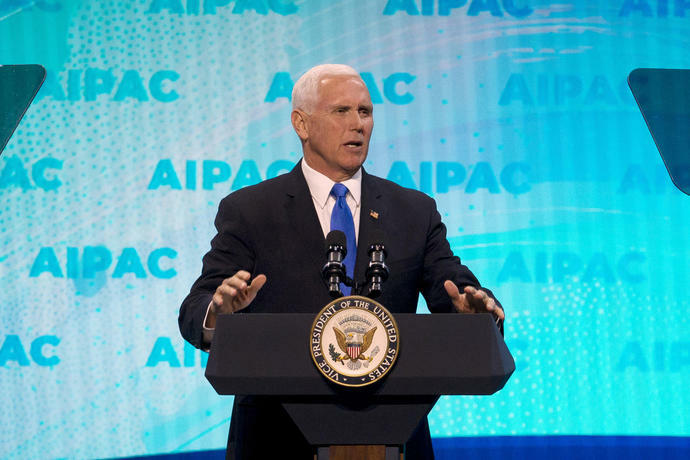 "The rocket attack by Hamas proves that Hamas is not a partner for peace," Pence said at the annual convention of the American Israel Public Affairs Committee. "Hamas is a terrorist organization that seeks the destruction of Israel, and the United States will never negotiate with terrorist Hamas." The rocket destroyed a residential home in the farming community of Mishmeret, north of the city of Kfar Saba. The sounds of air raid sirens jolted residents of the Sharon area, northeast of Tel Aviv, from their sleep shortly after 5 a.m., sending them scurrying to bomb shelters. A strong sound of an explosion followed. The Israeli military quickly mobilized troops and called up reserves, setting the stage for a potential major conflagration shortly before Israel's upcoming elections. 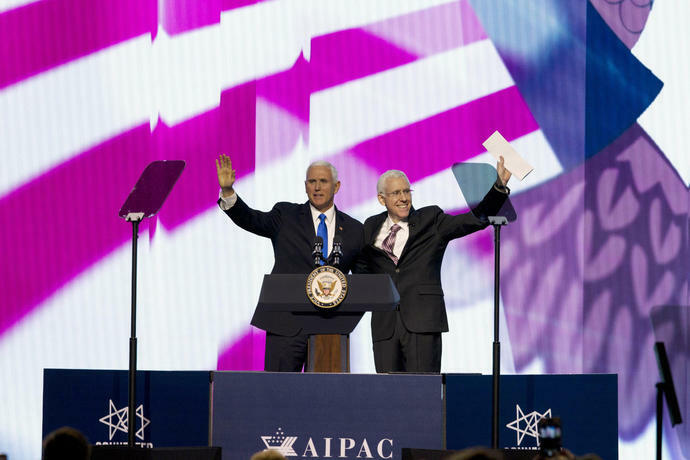 In his remarks, Pence also took issue with comments by Rep. Ilhan Omar, D-Minn., that he said were anti-Semitic remarks. Omar, a first-term lawmaker who is one of two Muslim women in Congress, has alleged that congressional support for Israel reflected "allegiance to a foreign country" and that Israel "has hypnotized the world." She also accused Americans who support Israel of being bought off by campaign donations.